Many veterans are aware that their service earns them an entitlement that opens the door to securing a home loan backed by the U.S. Department of Veterans Affairs (VA). However, the existence of a second-tier entitlement isn’t as widely known. This additional entitlement can strengthen your purchasing power and expand your options, so it is definitely worth exploring. As the Truth About Mortgage explains, VA loans are popular because they come with plenty of attractive attributes. A VA loan doesn’t require a down payment or mortgage insurance, and it generally comes with low interest rates, so it can provide an affordable alternative to other types of home loans. In addition, the VA doesn’t require a minimum credit score to qualify for a VA loan (but some lenders do set their own credit score requirements). The VA also doesn’t cap the amount that you can borrow . . . There is a limit, however, to the amount that it will guaranty. This, in combination with the status of your own financial resources, will likely determine how much money a mortgage lender will agree to let you borrow. The VA doesn’t actually provide loans. 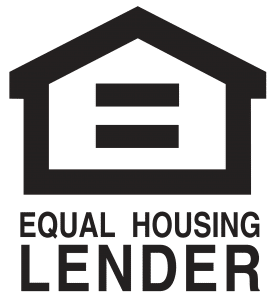 Instead, it encourages other lenders to provide qualifying borrowers with mortgages with advantageous terms by guarantying a portion of the loan. The entitlement actually refers to how much the VA will guaranty. Current and former service members who qualify for a VA loan start with a basic entitlement of $36,000 for a VA-backed mortgage totaling up to $144,000 (which is four times the amount of the entitlement). However, that may not be all that you really qualify for. There is also a second level of entitlement, which is sometimes referred to as second-tier, tier two, or bonus entitlement. Accessing this additional entitlement can provide qualifying borrowers with more options and more buying power. What if you want to borrow more than $144,000? That’s when the additional entitlement comes into play. For most borrowers, this second-tier entitlement is up to an additional $68,250 (this varies by county). It can be used for VA loans between $144,000 and the conforming limit, which is currently $424,100 in most parts of the country (source). However, it’s important to remember that having these entitlements doesn’t guarantee that you’ll qualify for a loan of that size. Anyone securing a VA home loan must demonstrate that they are credit-worthy and have the appropriate financial resources for the mortgage that they are seeking. In addition, the property that they hope to purchase must hold sufficient value. Why might a qualifying borrower use a second-tier entitlement? Home prices vary widely depending on the location of a property. If you purchase a property in a high-cost area, like California, New York, or New Jersey, you may need more purchasing power. A second-tier entitlement can allow you to be a competitive shopper in these high-priced housing markets, where VA loan limits reach up to $636,150 (source). While the basic entitlement generally stays the same for qualifying borrowers, your additional entitlement might be $68,250 or higher. According to the VA, loan limits vary by county and are aligned with the conforming loan limits set by Freddie Mac and Fannie Mae. This means that buyers purchasing a home in a more expensive area will generally qualify for a larger additional entitlement to match the increased loan limits. SELECTED FOR YOU: How Does a VA Home Loan Work? Second-tier entitlements can also be used to fund multiple VA loans. 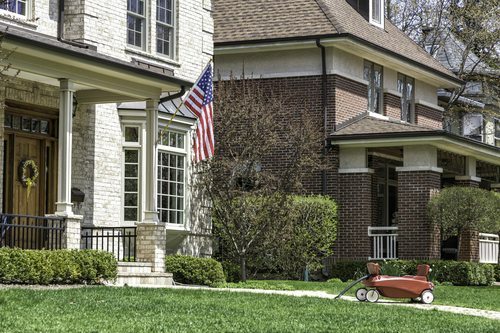 Military.com reports that military families move 2.4 times more frequently than civilian families, relocating every two or three years on average. If you’ve used your entitlement to secure a VA loan and purchase a home, but you receive Permanent Change of Station (PCS) orders that require you to relocate, you may find yourself wondering how to handle your housing situation. One option would be to sell your current house, file the paperwork needed to restore your entitlement, and use a new VA loan to buy another home at your new station. What if you don’t want to sell your current home? If you have the resources to manage two mortgages, then you could hold onto your current home and secure another type of loan to buy a home in your new location. Alternately, you might be able to use your additional entitlement to secure a second VA loan to buy a home after your move. According to Military.com, the average VA loan is around $210,000. Since the full entitlement provides enough VA backing for a maximum loan value of $424,100 in most areas, borrowers will typically have at least some of their entitlement left. If you’re in this situation and have sufficient financial resources to qualify, you might be able to use this remaining entitlement to get a second VA loan. Find out if you could enjoy the benefits of a second-tier entitlement by contacting PrimeLending: Manhattan, Kansas. Every year, we help thousands of veterans and active-duty members of the military buy or refinance their homes through the VA home loan program. With our assistance, you can take advantage of the many benefits of a VA loan while saving money due to our lack of lender fees. We offer 100% financing with competitive interest rates – no down payment or PMI required! To learn more, please give us a call at 785-560-3011 or contact us online. It’s our turn to serve you!